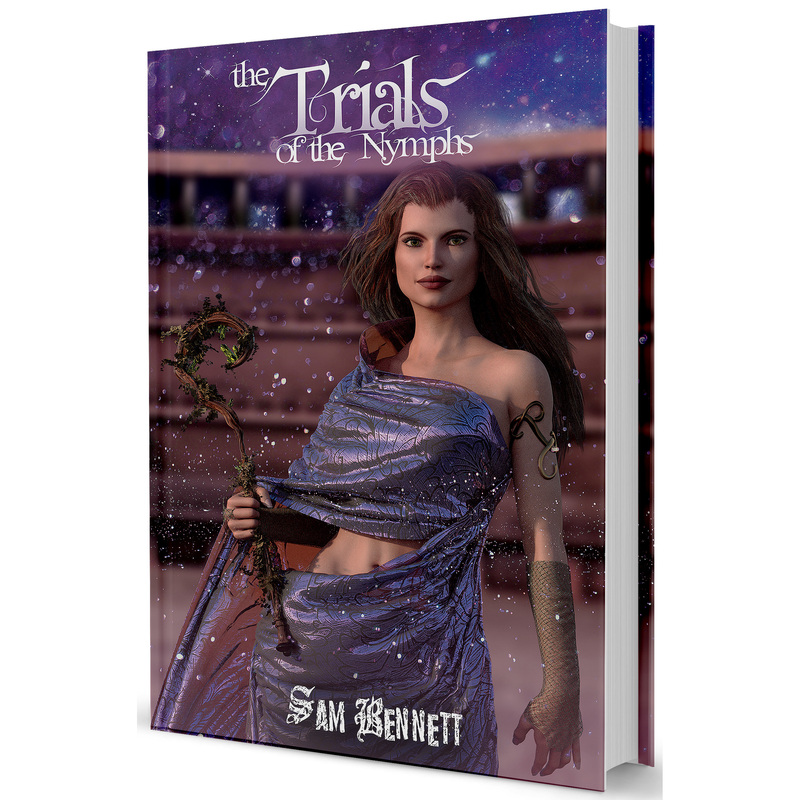 Exclusive Deluxe Bundle – This deluxe bundle of The Trials of the Nymphs is exclusive to Sam Bennett’s official website. It includes The Trials of the Nymphs (Paperback,) and Compass of the Nymphs (Paperback). Both paperback books will be autographed by the author and the illustrator. 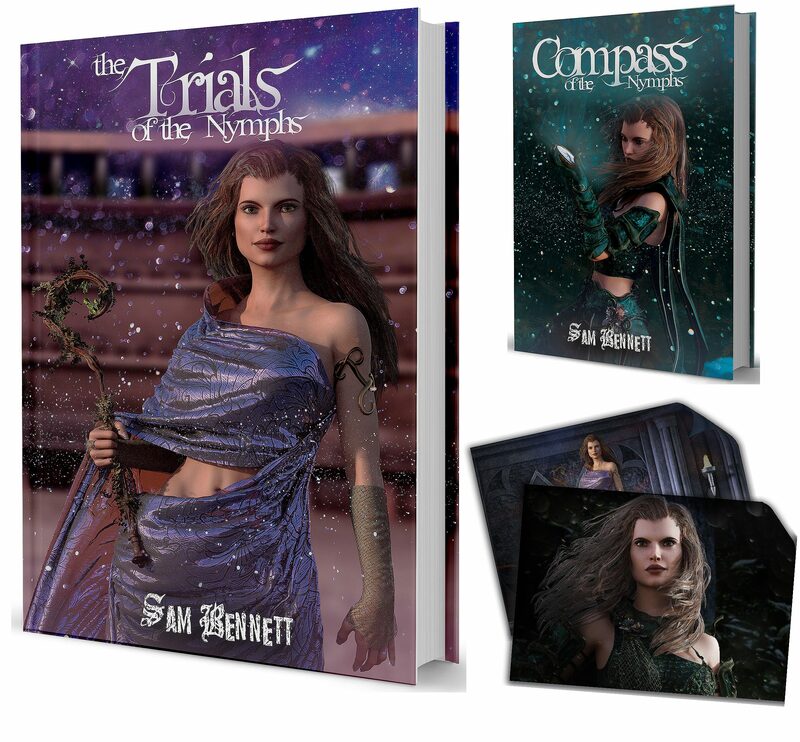 Also included in the bundle are two 5×7 inch art prints of artwork from Compass of the Nymphs and The Trials of the Nymphs numbered and signed by artist Levi Linn. Read below for more detailed descriptions of each item. 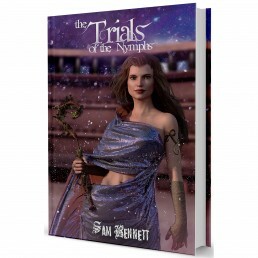 About The Trials of the Nymphs – Taisiya’s Trilogy continues with The Trials of the Nymphs, which sees Taisiya, Zara and Lahara arriving at the island of the Nymphs.Each Elder Nymph puts Taisiya to the test, and to win their allegiance will not be easy. With her parents still in the clutches of the wicked Queen Adrasteia, Taisiya must prove her worthiness to the Elder Nymphs before time runs out. 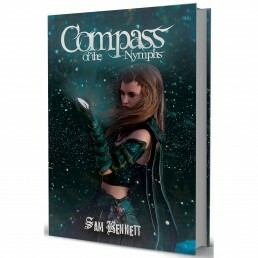 About Compass of the Nymphs – 2017 Deluxe Edition – Sam Bennett’s Compass of the Nymphs has been beautifully reimagined with new illustrations by artist Levi Linn making the story come to life on the page more than ever. 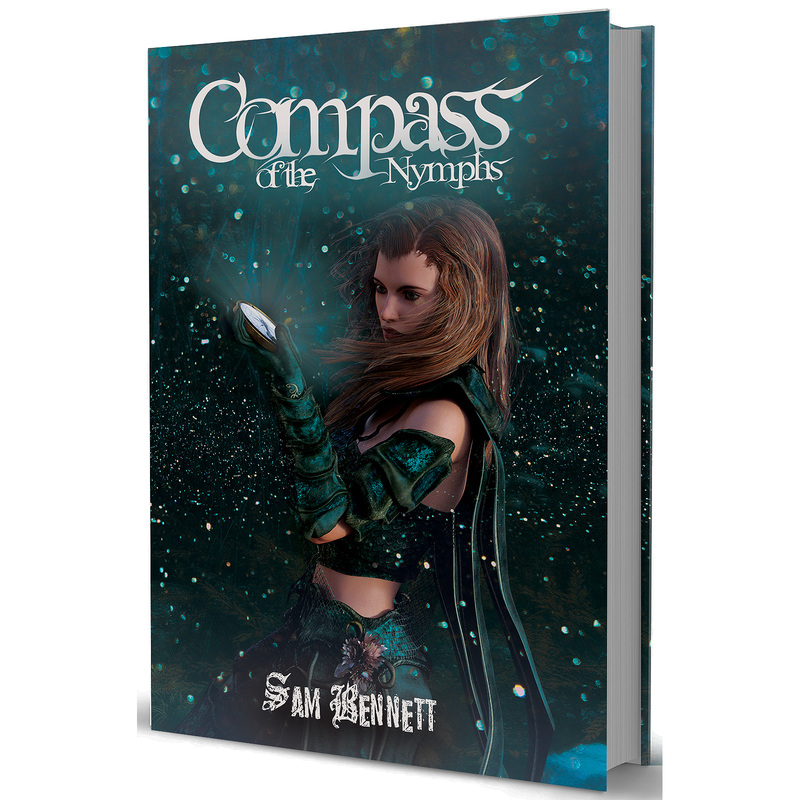 Compass of The Nymphs is the beginning of an epic journey. When all the children in the town of Solames go missing, a young girl named Taisiya sets off to find out why she’s the only child left unharmed. The journey won’t be easy as Taisiya finds herself learning more about the truth behind the fairy tales she heard as a child. Personalization Requests – If you would like your paperback books made out to a certain person, please leave the name(s) to whom the book should be personalized in the order notes..